Coming together for a meal is one of the most primitive and bonding activities we do as humans. But in our culture, there is now a disconnect between what is served on our plate, how it got there and how we relate to it. Our mission is to teach people how to eat mindfully, nutritiously, seasonally, and the story behind their food. This conscious evening is created and lovingly prepared by Present Plate, a female-led community organization dedicated to empowering people with tools to make informed food choices. We have partnered with RADUNO, a creative hospitality agency founded by Michelle Biscieglia and Xandre Borghetti who are former Beverage Director and GM at Blue Hill. Our natural wine experience will be led by the brilliant Amanda Smeltz, Wine Director at Estela & Cafe Altro Paradiso, and oleologist Nick Coleman of Grove & Vine will lead us on an olive oil sensory tasting. The evening will be hosted at the gorgeous Fitzcarraldo in East Williamsburg. The evening is sponsored by Foster Sundry, a stellar local whole animal butcher and specialty market in Bushwick, and urban farmers Gotham Greens. The vegetables will be sourced from Alewife Farm, a young regenerative organic farm in Kingston, New York. 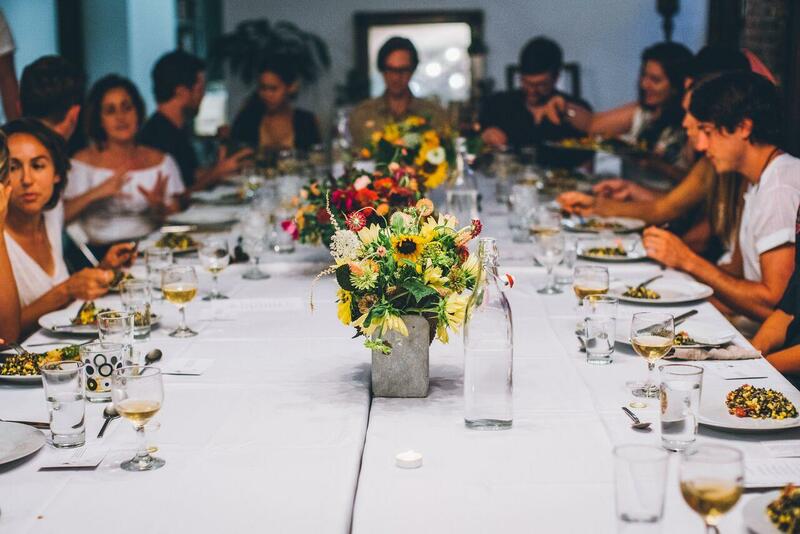 The evening includes an olive oil tasting, wine pairing and tasting, food meditation, and a talk with Gotham Greens about their process. At the end of the evening you will receive a carefully curated gift bag to take the experience home with you. Please join us for this impactful evening. A marketing and sales executive for extra virgin olive oil and agricultural products, Crystal is passionate about sharing her love and knowledge of food and its industries. A chef, yoga teacher and holistic health coach, Lena is passionate about teaching people how to become the healthiest versions of themselves through food and mindful practices.